How many people does it take to corrupt a city? In Philadelphia, it definitely takes more than two to tango. It certainly takes a number of individuals bent on using entrusted power for private gain. But so much more must happen for a city to consent to the corruption that holds Philadelphia back. It takes some who look the other way when corrupt actors connive to deprive the public of honest government services. It takes more to accept corrupt systems as simply the way things work. And, it takes countless many who could make a difference to not use their voices and their vote to make real change. 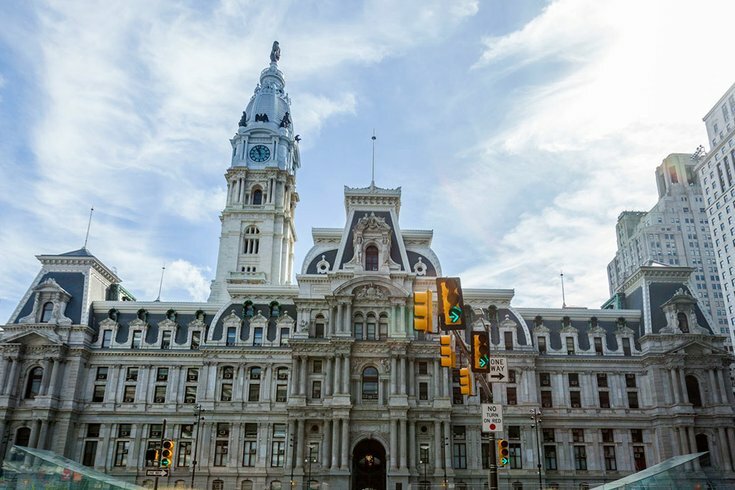 The recent news of the impact of scam city-property sales carried out through the city's tradition of "councilmanic prerogative" provides just one more example of the cost of corruption that Philadelphia cannot afford. Sadly, the example also illustrates how many heads must turn to look the other way and how many tongues must be held for corruption to continue. Philadelphians are represented by 17 members of Philadelphia's city council. Seven of those members are elected on an at-large basis, selected by voters from the entire city. Ten of city council's members are elected from districts to represent about 150,000 residents from a specific geographic area covering many city neighborhoods. While each of the 17 members of city council has a single vote on legislative matters, the 10 district council members are historically granted the courtesy of "councilmanic prerogative" in matters concerning their own districts. This, in effect, gives district council members a super majority of one to overrule the remaining 16 members (who all acquiesce to this peculiar institution) as well as officials who administer city-agency activities (who defer to the district council members) to determine the fate of legislation and city operations affecting their districts. In theory, this local legislative tradition allows the people's representative who intimately understands the needs of a particular neighborhood to influence the policies that will directly impact that neighborhood. In practice, the council custom creates a procedural roadblock that prevents many matters from advancing to become law without the approval of the district councilmember. With zoning rules, disposition of public land, enforcement issues, and many other matters subject to the discretion of a single elected official, opportunities for corruption – much of it legal – abound. Revelations involving the sale of city properties at below-market prices illustrated how councilmanic prerogative creates a corrupt bargain for councilmembers and connected contributors that comes at a cost to citizens. 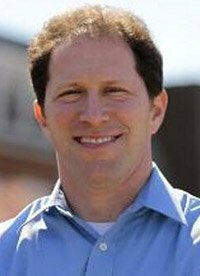 Despite interest from other developers (which should have led to an open-bidding process under proper city policies) the district councilman representing neighborhoods of Philadelphia south of Center City indicated that he supported the sale of city-owned properties to a friend and campaign contributor. The councilman's support – along with the incorrect determination by city agencies that the contributor was the sole bidder – engineered the sale of the properties at below-market rates to the contributor, who promptly flipped the properties to earn a tidy profit. Because of councilmanic prerogative, without complaint from any of the other 16 members of council, and without any issues raised publicly by the various city agencies charged with preventing such abuses to stop the scam, the campaign contributor had the sole ability to purchase two properties from the city for a total of $65,000 and then sell them to another developer for $230,000 just one month later. Under a proper bidding process, the $165,000 profit pocketed by the campaign contributor (or even more if the price had been driven higher at auction) would have gone to our consistently revenue-deprived city budget. This fundamental problem of Philadelphia corruption is that ours is a clubby, one-faction-of-one-party town and nobody has the courage or the cojones to stand up and call out what is wrong. Media-reported discoveries of other, similar scam-sales orchestrated by the same councilman through the councilmanic-prerogative mechanism under the guise of legitimate purchases multiplied the cost to the city exponentially. And, years earlier, a federal judge awarded $34,000 to a developer who claimed the same councilman had used councilmanic privilege to unlawfully prevent him from purchasing city-owned properties by simply refusing to back the sale. "Given the evidence, it was reasonable for the jury to conclude that the custom of councilmanic prerogative was the moving force behind the violation of [the developer's] constitutional rights," the judge wrote in her opinion. "[The councilman] would not have been able to block the sale absent the councilmanic prerogative, confident that he would not be subverted by his City Council colleagues because the custom required deference by them to his decision not to introduce the resolution." Many have called for the head of the councilman responsible for the graft grift, but so many more heads must roll if we are to properly point fingers. Every councilmember who allows councilmanic prerogative to persist as a conduit for corruption, the mayor who permits his administration to acquiesce to the practice, and every city agency official who fails to blow the whistle on these foul plays share the blame. Privately, so many will confess that they look other way because this is just the way it's always been and pointless to fight; or because it's smart politics to go along to get along; or because there are bigger battles to fight. But in a city where those bigger battles never seem to reduce poverty, where smart politics never seem to stop criminal violence, and where the way it's always been never seems to create opportunity for neighbors in every community, the consenting of corruption must end. Like Aesop's fable about the farmer that saves a snake who then responds to the act kindness with a fatal bite because it is in the snake's nature, haters gonna hate and corruptors gonna corrupt. But corruption only reaches epidemic proportions when it is then consented by the silence and inaction of so many others. Don't tell me you have business skills to advocate for better government if you allow this shady government operation. Don't tell me you are a champion of equity and transparency if you allow this fleecing of the city's overtaxed citizens. Don't tell me you are a valuable city official with vast operations experience that the mayor counts on if you allow your agency to be used for graft and boodle. Next year, every elected official with a role in ending this corruption is up for re-election and every city official implicated in these activities is appointed by an elected official who can be ousted. In other words, we can end this corruption by electing officials who will refuse to tolerate corruption and will appoint officials who will not stand for the corruption to continue. So, 2019 should be a referendum on councilmanic prerogative and the corruption that is consented to by too many. Nobody who remains quiet deserves to be re-elected in 2019 or re-appointed in 2020.